Is This Google's Nexus Tablet? Though it might look like the original iPhone, this could possibly, maybe, actually be the Nexus Tablet that Google has been working on. 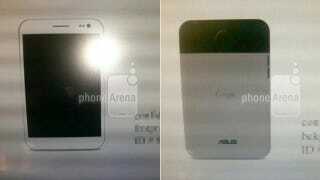 Phone Arena received these pictures and believe that the images are leaked shots of Google's upcoming tablet made by ASUS. It's possible, of course, the Google and ASUS lovechild tablet has long been rumored and we know that Google has been rumored to be working on the Nexus Tablet for Google I/O. But we have to take these pictures of the 7-incher with a 100,000,000 million search engine results-sized boulder of salt. Will the Nexus Tablet Come From… Asus?